If there is any take away from all the things that have happened in 2018, it is the fact that the golf courses in the Grand Strand are expected to grow stronger than ever. There will always be those inevitable downturns and temporary golf closures. However, the golf market, in general, will continue to find ways to improve its already impressive performance, given that it already draws countless locals and tourist golfers every year. Gradual change, as well as its ability to steady itself after going through the seemingly unforeseeable, had made sure that 2019 is yet to be another great year that is worthy of your time. So, here are a few reasons why you should consider going on a golf vacation in 2019. Are you curious about what Myrtle Beach location is all about? Take into account that the place has been battered by a freak cold streak during the earlier part of the year. As if that wasn’t enough, the area had no choice but to go through and survive Hurricane Florence as well as the calamitous flooding the several parts of the area afterward. Despite all that, almost all of the golf courses were back in business within a week after the hurricane. Golf plays a significant role in the economy of the Grand Strand. And the stewards of the place plan to protect the golf industry so golf players who live locally and around the world can continue to enjoy it for several years to come. The erratic weather conditions during the cold winter months of 2018 drove many greens that were already at the end of their lifespan back to the forefront. When the temperatures went up in February, owners of some golf courses took advantage of it to update their golf courses. As a result, they now present an impressive array of putting surfaces. They would surely attract more tourists who are on a Myrtle Beach golf vacation. You must never pack around 90 courses into a 3-county area without a definite plan set in place. Generally, tourist golfers have the chance to play tracks by the ocean, amid marshlands, old Lowcountry setting, with the forest terrain, or alongside the Intracoastal Waterway. It was in the 1960s when the golf boon in the area began. With more than fifty years, the market was able to perfect the art of golf diversification. For those who didn’t know, the first golf course of South Carolina was not situated in Myrtle Beach. When it comes to having a rich history, Myrtle Beach isn’t always on top of the list, the throne goes to Charleston and Wilmington. On the other hand, the Grand Strand is not just about what is here now, especially when golf is taken into account. In 1927, the Pine Lakes Country Club opened and the place started to bring the game to something more. Every golf course in this place has its own unique story. Call Myrtle Beach Golf Directors if you are looking for golf packages or golf courses for your upcoming golf vacation in 2019. Are you one of the many people who is looking for the perfect Christmas gift for someone who is very hard to please? Fortunately, economic science can help you. A lot of people end up happier whenever they receive experience gifts like going on a golf vacation or visiting a winery instead of a getting new gadget or a costly bracelet. If you need proof, then it’s good to know that science actually supports this claim. You may be thinking why most people give material gifts and not experience gifts if according to science, the latter is a better option. A research on gifts and happiness showed that several individuals link happiness to various material things even though they can never match the happiness and other positive feelings that experience gifts can offer. Another factor that makes people think that material gifts are better is the fact that every day we see different ads, films, and other marketing materials linking them to happiness and contentment. Perhaps now is the time to change all this. Experience gifts such as golf vacations are extremely exciting especially the waiting part. The receiver of the experience gift will feel ecstatic and anxious for the time when they get to enjoy their gift. Experience gifts make people happy even if they haven’t done the activity yet according to the research that was published in Psychological Science. Another research revealed that experience gifts offer more pleasure and a better value for money. We usually think that material gifts are more valuable and can make people happier. It is not always the case. In most cases, receiving material gifts does not make us feel genuinely happy, which experience gifts can provide. 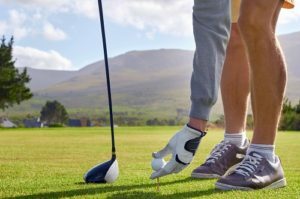 Most experience gifts can be enjoyed in pairs or in groups just like Myrtle Beach golf vacation and this is another great reason why they are extremely great. Apart from making new memories, you are also sharing a new experience with someone else. All of these contribute to the overall satisfaction that experience gifts have to offer. It helps us bond with people, friends, and family, which is also referred to as social connectedness. Another research also showed that experience gifts are not commonly compared to the gifts that other people get. Admit it or not, you usually look at what other people got if you have attended a party and you just received a material gift. This distracts you and makes you forget how much you appreciate the present. This will not happen with experience gifts. We usually think that material gifts can make the person that you will be giving it to happier. However, that is almost always not the case. People love to get new things but it also means that they will not feel that excited about whatever it is they received now after at least a month. But if you get an experience gift like playing on a golf course, the memories created and shared with those with you will last for a lifetime. 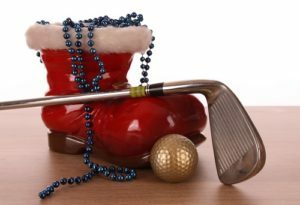 Call Myrtle Beach Golf Directors if you are considering to go or gift a golf vacation to someone you know. We have the best golf packages that will surely meet your needs.